The Carlsbad Music Festival’s Eclectic Lawn (a three-Sunday series) kicks off this Sunday, March 31, 2019, with North County’s own anti-folk legend Cindy Lee Berryhill. The Red Fox Tails, Son de San Deigo, and Sunny War will follow her on the lawn. Concerts are from 1-5 PM at the St. Michael’s by-the-Sea Lawn. Admission is free and food and beverages will be available for purchase at a beer garden & food trucks. For more information please click the link. The Carlsbad Music Festival Presents Sonic Chapel with cellist Ashley Bathgate Friday, February 15, 2019. The desire to create a dynamic energy exchange with her audience and build upon the ensuing chemistry is a pillar of Bathgates’s philosophy as a performer. Her affinity to dynamism drives Bathgate to venture into previously uncharted areas of ground-breaking sounds and techniques, breaking the mold of a cello’s traditionally perceived voice. Collaborators and fans alike describe her vitality as nothing short of remarkable and magical for all who are involved. 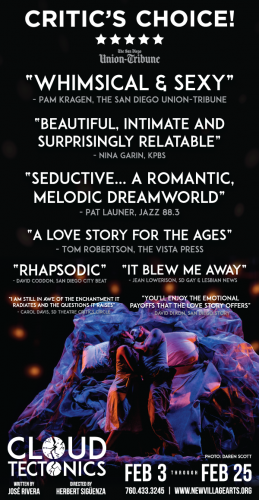 Bathgate is a member of the award-winning, internationally acclaimed sextet Bang on a Can All-Stars, the chamber music group HOWL, and is also a founding member of TwoSense, a duo with pianist Lisa Moore, and Bonjour, a low-strung, percussive quintet. For more info and to buy tickets, please click here. The Carlsbad Music Festival is celebrating its 15th anniversary during its annual weekend festival set for August 24-26, 2018. In recognition of this milestone, the Sahm Family Foundation has awarded the Festival a $40,000 grant including $20,000 of matching funds for new and increased donations as a means to encourage community support of the festival for years to come. This is the single largest source of funding in the Festival’s history. This is great news! For more information visit CarlsbadMusicFestival.org. For the official word from the Carlsbad Music Festival, please follow the jump. This critically-acclaimed romance MUST CLOSE on Sunday, February 25, 2018. Click the link for all the details. What will happen at the ball…game? 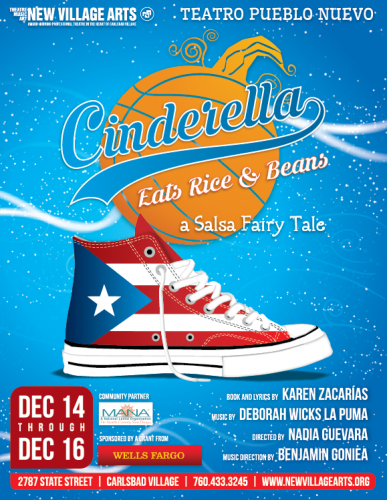 CINDERELLA EATS RICE AND BEANS: A SALSA FAIRY TALE is a fun, athletic twist on the Cinderella story, crossing language and gender barriers and weaving a subtle lesson on empathy, sportsmanship, and respect. This exciting 50-minute show mixes the contemporary musical theatre sound with elements of pop, hip-hop and Latin music. Nadia Guevara will produce and direct, and the cast will feature three actors making their New Village Arts debut. The show runs December 14 – 16, 2017. Click here for reserved seats, or follow the jump for the rest of the story. 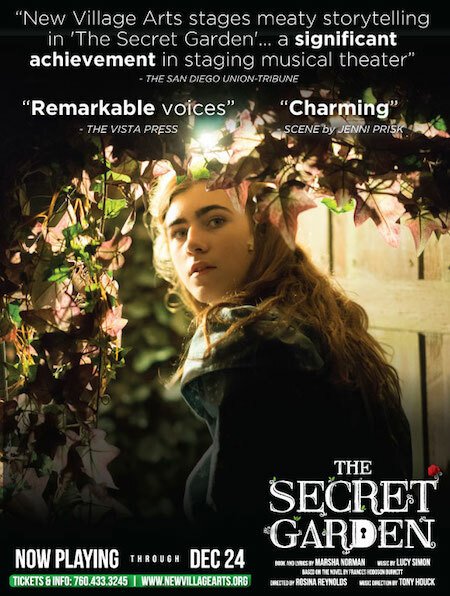 Critics and audiences agree, The Secret Garden is magical. Tickets are still available for one of the New Village Arts Theatre’s finest performances of the year. For more info and to purchase tickets, please click the link. The Forum Carlsbad and West Coast Artists present the Third Annual Art Rhythm & Wine Festival to be held at The Forum Carlsbad on Saturday, October 14, 11am-7pm, and Sunday, October 15, 11am-6pm. This free, juried show will feature more than 50 exceptional artists and craftsmen offering high quality original artwork from throughout the Western United States. Complementing the art show, the event will also feature a wine garden with a variety of quality wines for sale and food will also be available for purchase. Non-stop live bands and a DJ will perform throughout the festival including the Clay Colton Band, The Mar Del Boys and The Jazz Pigs. For all the details, please follow the jump. 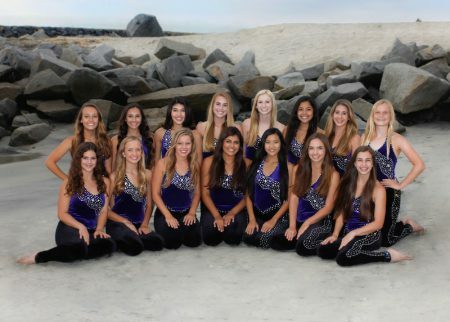 Carlsbad High School’s 11-time National Champion varsity dance team, the Lancer Dancers, will be performing in their annual holiday dance Showcase Thursday, December 8 through Saturday, December 10, 2016 on campus at the Carlsbad Cultural Arts Center. The shows begin at 7 p.m. Thursday-Saturday and a Saturday matinee is also offered at 2 p.m.
Tickets go on sale Thursday, November 17, 2016 for $15. To buy tickets click here, or follow the jump for all the details. Talk about parent traps. 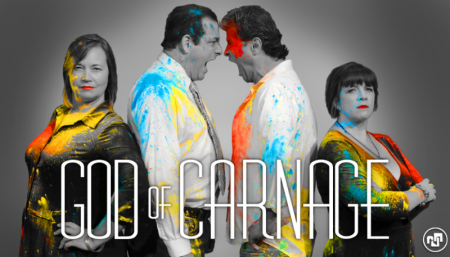 God Of Carnage, a one-act comedy, takes you on an adventure into the darkest, most terrifying recesses of American life: parenthood. When two New York couples meet to discuss their sons’ playground tussle, a civilized evening of pleasantries and small talk erupts in a chaotic explosion of anarchy and vitriol. GOD OF CARNAGE delivered a sucker-punch to the Broadway scene, taking home the 2009 Tony for Best Play and earning knock-out reviews. This production boasts an all-star cast of NVA veterans: Manny Fernandes, Melissa Fernandes, Jeffrey Jones*, and our own Executive Artistic Director, Kristianne Kurner! Pay-what-you-want previews begin Friday, October 14, 2016. For more information, please click the link.